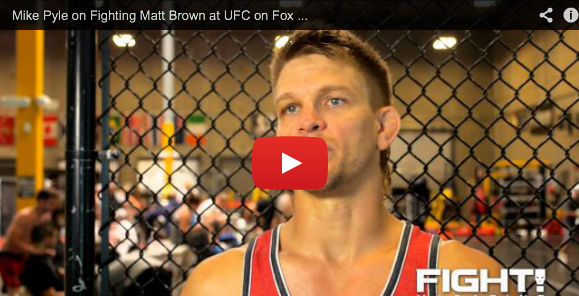 UFC Welterweight Mike Pyle: "Matt Brown Is a Good, Tough, Scary Opponent"
UFC welterweight Mike Pyle discusses his upcoming fight against Matt Brown at UFC on Fox Sports 1:1 on Aug. 17 in Boston. Pyle is carrying a four-fight winning streak, while Brown has won his last five bouts. UFC 163's Tom Watson: "I'm surronded by morons in my profession"